The days of denial are over. The tell tale signs have been identified. You've lost your youth (as well as your reading glasses). You're officially 'past it'. Yet, instead of commiserating, it's time to embrace the ageing process, celebrate the inevitable fate that awaits all of us and makes the best out of 'getting on a bit'. 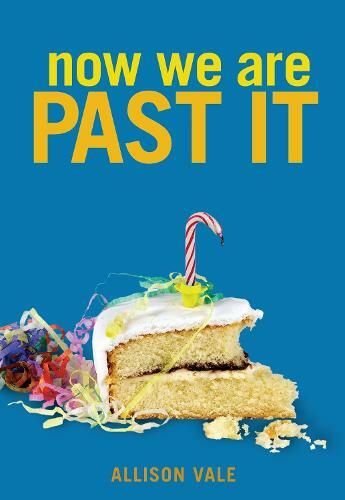 Now We Are Past It is another enjoyable and good-humoured collection of wrinkly wisdom, stories and faux-pas from Allison Vale, one of the co-authors of You Know You're Middle Aged When . . . and is guaranteed to raise a smile, but not the blood pressure, in the most advanced reader. From stories of embarrassing your children, to embarrassing yourself, and amusing tips on overcoming the odd 'senior moment' with flair, there is much that mature readers, or those on the receiving end of their howlers, will find amusing and uplifting.